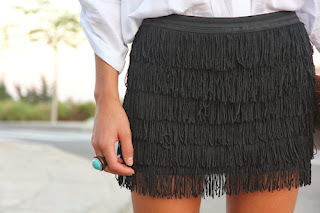 Ashlees Loves: A fringe affair! 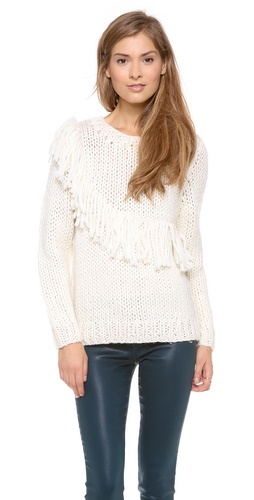 Cable knit pullover sweater with fringe trimming all around bottom hem. Attached hood. "V"-neckline in front. Vintage black leather cowboy boots with fringe and mini stud trimming. Leather harness strap around ankle with metal conch detailing. Size 9M. Rubber sole. Low heel. 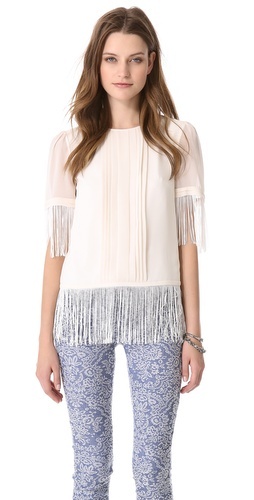 Woven tunic top with pretty printed gauzy fabric detailing at each bell sleeve and on back. Bottom of back has fringe trimming. A bohemian stunner that complements all your jeans! 75% Tencel, 25% Linen Hand Wash Cold ImportMeasurements for Size Small: Length: 28 1/2" Bust (all around): 36" Bottom Opening (all around): 45" Sleeve Length: 18" Sleeve Opening Width: 5"
Vintage distressed brown suede vest with fringe detailing. Two front pockets. 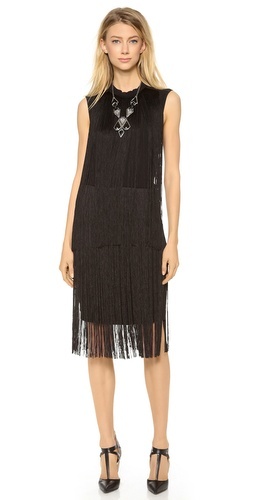 Gauzy cotton mini tank dress with layered top that has crochet and fringe trimming. Elastic waist. 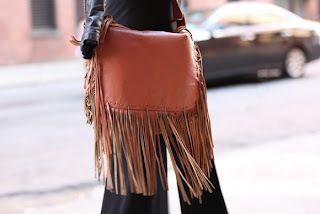 Open back style with button closure at top of back. Bottom of dress is double layered. Bottom layer is longer and trimmed with crochet and fringe. 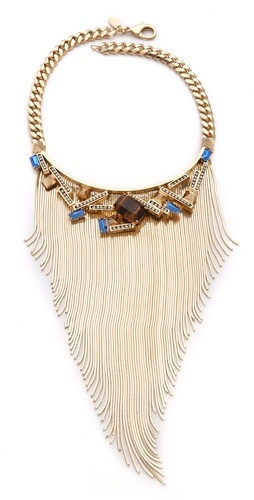 We love pairing this with heavy metal jewelry and our best leather sandals. By Jen's Pirate Booty 100% Cotton Hand Wash Cold ImportMeasurements for Size Small: Total Length (from top of shoulder strap): 39" Bust (all around): 30" Waist (all around - relaxed): 22" Armhole Drop: 9 1/2"
Distressed wash pullover sweater with fringe trimming on the underside of the sleeves and down the sides of each waist. Oversized fit with slight high-low hem. 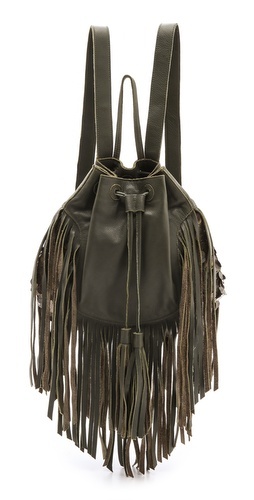 Western meets casual cool at its best. Summer of Seventy Eight 95% Cotton, 5% Spandex Machine Wash Cold Made in USAMeasurements for Size Small: Length (in front): 21" Length (in back): 24" Bust (all around): 57" Bottom Opening (all around): 48" Sleeve Length (from shoulder seam): 14"
Sheer mesh tank with patterned embellishment all over. 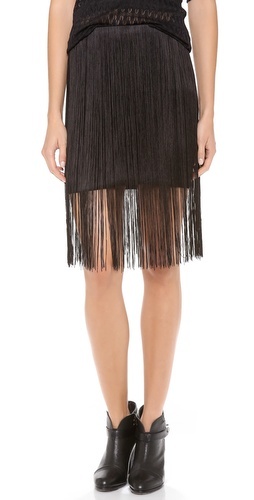 Bottom hem is zig zag shaped and trimmed with beaded fringe. 100% Nylon (not including embellishment) Hand Wash Cold ImportMeasurements for Size Small: Length: 23" Bust (all around): 33 1/2" Armhole Drop: 8 1/4"
Beautiful crochet vest with colorful embroidered detailing. Tassel trimming all around bottom edge. 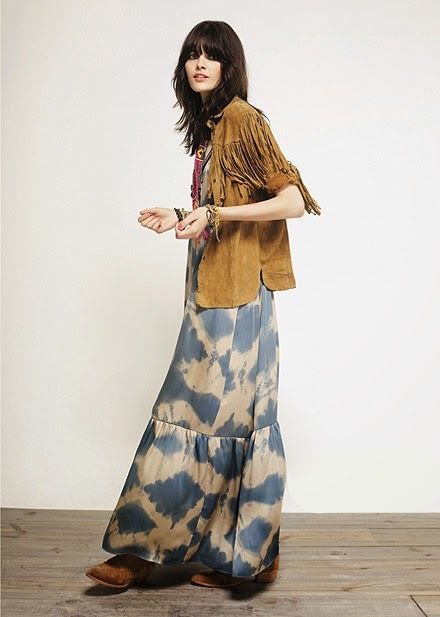 97% Cotton, 2% Nylon, 1% Other Hand Wash Cold ImportMeasurements for Size Small: Length: 27 1/2" Bust (all around): 36" Armhole Drop: 16"
Striped knit hooded sleeveless cardigan with fringe trimming all along the bottom edges. Neon embroidery detailing along the edges and bottom. Slightly oversized, slouchy fit. 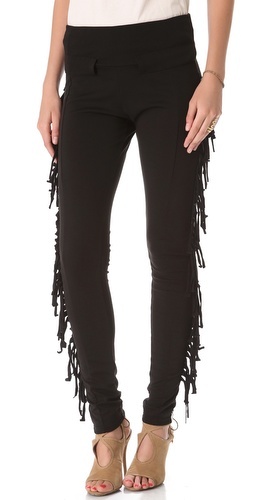 Super soft tee with knotted fringe detailing all around each armhole. 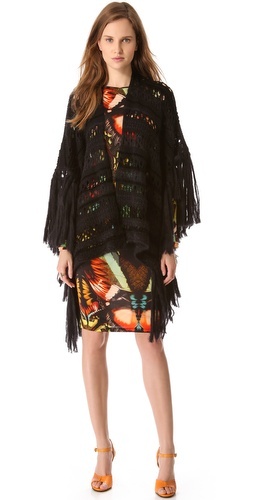 Patterned poncho cardigan with colorful yarn embroidered detailing and fringe trimming. Oversized dolman-style sleeves.Slouchy, oversized fit. NOTE: This item is styled inside out in the studio shots. Please reference the catalog photo for actual appearance. 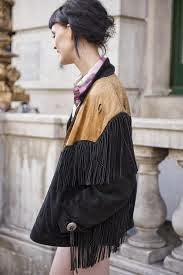 Geometric patterned cardigan with fringe trim detailing along the back of each sleeve and across the upper back. Attached hood. Zips up the front. 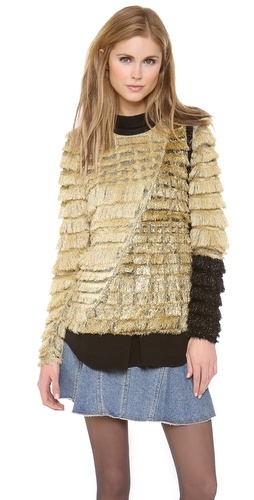 Fuzzy colorblock drop shoulder sweater with ribbed cuffs and crew neck, fringe detail, and an uneven hem. A layer of long and ever moving fringe falls from the empire waist on this delicate slip, and continues to wisp beyond the hem, giving this style an ethereal feel. 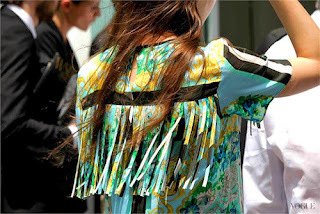 Geometric embroidery and woven fringe adorn this kimono. 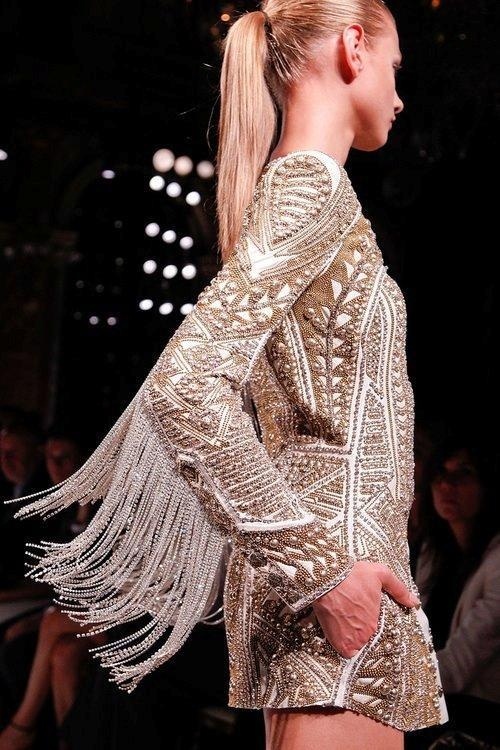 Sequins are a must! I love to sparkle! This weeks specials, sales, and promo codes! Its all in the bag! 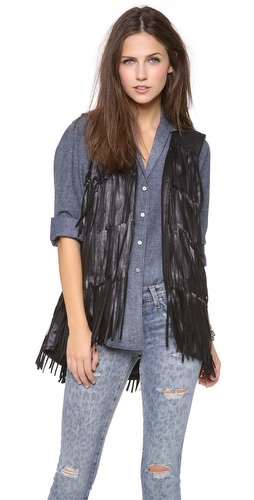 Denim day or night, a must have!